There has been a lot of pushback so far. I won’t post more than one link, mainly because the BBC’s article has more than enough links from successful authors who say this is ridiculous. I wasn’t even going to do more than link to that article, because every single point has been refuted multiple times by the authors linked there, and that’s just a small sample so far. What could I add? Well, then I realized I hadn’t seen any publisher-perspective takes on the subject. I haven’t done an extensive search, and several authors have already covered the economics angle (the most complete, though not most polite, being Larry Correia, another rags-to-riches fantasy novelist and quoted in the BBC article), but I can add a few items. Ms. Shepherd tells Rowling that it’s okay for her to write kids’ stuff, but she shouldn’t do anything in the adult section because she harms other people. 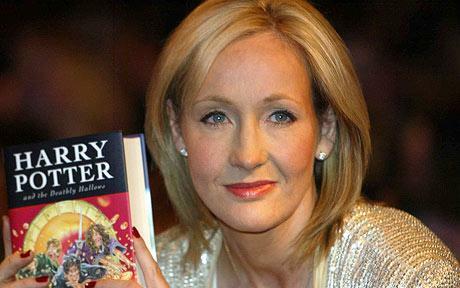 After all, she maintains, Rowling’s high sales in that age-group are solely because of her fame in completely different genres. Because of that, small-time mystery authors like Ms. Shepherd get crowded out. Mwahahaha! I shall steal all the sales! So already we see two things from this. One, if Ms. Shepherd is right and people are only buying Rowling’s non-Harry Potter stuff out of name-recognition, that will soon taper off and she’ll drop from the top lists. Two, Ms. Shepherd has just ticked off a large fan-base who are now leaving one-star reviews on her books without even bothering to read them, which is going to make it even harder for her to develop her own True Fans. But it doesn’t end there. In fact, the main part of Ms. Shepherd’s argument is that Rowling is crowding out other authors; that is, that there is a finite amount of books that people will read and therefore small-timers like herself are getting harmed if big-names take up that space. I’ll just use the same word again, but with some extra emphasis. BULL. Yes: when a Big Name Author comes along, people buy Big Name’s books. Yes: a person has a finite amount of time that they could devote to a book, which necessitates that there are many millions of books out there that a person will never get around to reading in one lifetime. Yes: a person has a limited amount of money to spend on luxury goods like books. No: this does not mean Big Names crowd out small names. In Rowling’s case, she’s brought a lot of readers into not just reading in general, but into reading fantasy and YA. The YA market has exploded. An author can only write so many books in one year, and a person can read many books in a year. (Once, I counted and found I was reading about a hundred novels and anthologies that year. This was in college, and I’m not counting what I was reading for class.) No matter how successful a Big Name is, the audience is going to be done with that book and, if they liked it, they’re going to want to read more. Someone has to pick up that slack. It also works in the other direction. When authors cross over into another genre, it can be difficult to succeed because their True Fans are hanging out elsewhere. If said author is a Big Name, those true fans will rush to the other section of the bookstore; and if the book was truly good and they weren’t buying out of loyalty, then they’ll be looking around for similar stories. On the face of it, it seems to support Ms. Shepherd’s argument; after all, if there are a limited number of slots, won’t that mean you won’t get published if too many Big Names come along? Ha! Hardly. Remember, each of those Big Names is only going to be published by one publishing house. That’s still one slot taken up, but that house’s competitors are going to be looking for other people who can, even if they’re never going to be Big Names themselves, at least ride on the coattails of those who are. Remember, they’re in the business of doing business. And, as a publisher sees a growing demand for something, that genre is going to expand. If their sales grow, then they can afford to publish more books, make a larger profit, pay authors more competitively, hire better cover artists, and hire freelance editors to keep up with demand (hint hint). That means they’re constantly on the lookout for books that will sell, and the popularity of a Big Name in a specific genre tends to signal a demand in the audience for similar stories. Before Rowling came along, the YA section was rather lackluster; publishers weren’t putting a whole lot of effort into marketing the “kids’ stuff.” With the cross-generational appeal of Harry Potter, on the other hand — not to mention its staying power — there has been a greater emphasis on the idea that books targeted at teens shouldn’t be dumbed-down. “Literary” authors like Ms. Shepherd still have a bias against YA and fantasy (to say nothing of the two together), but good fiction sells . . . and good fiction sales tend to spawn more fiction. The economic axiom “A rising tide lifts all boats” holds true with writing. If a Big Name Author is selling well, celebrate it. If you think you can do better than the current Big Name, prove it. People will want good books. They’re looking for them. Bookstores are looking for them. Publishers are looking for them. If a Big Name is dominating your genre, that doesn’t crowd you out — that makes you more noticeable, because no one can write enough books to satisfy all of the Big Name’s fans. So my advice to Ms. Shepherd, as well as any other author who complains about a Big Name “ruining” things: Shut up and write. It’s the only way you’ll prove your point — or be proven wrong. Shepherd seems to be published and had good reviews on her books, that means a certain level of success. But if she took a note from her own article, she should step aside and let smaller authors take her place. I bet she won’t do that. Yes, she is published, but I didn’t look up her reviews because it’s not about what she’s written, but rather how she thinks other people should operate. It’s tempting to assume she doesn’t know how to write, but I try not to draw too many conclusions about a person’s stories based on their opinions. I find several authors that I have difficulty conversing with to write excellent stories. Others have opinions in line with mine, but don’t express them well on the fly or in first drafts (hey, that’s what editors are for!). It rarely matters to the quality of the story. The one and only assumption I’ll make about Ms. Shepherd’s writing is based on her self-description as a “literary” writer. I associate “literary fiction” with “not very entertaining” and “rarely has interesting plots and/or characters.” There’s also a good chunk of “looks down on the stuff I do” mixed in there, too. I don’t think I’d enjoy her books — but I could always be wrong. I haven’t looked them up, though, as I said. I didn’t want to prejudice myself based on anything more than that.